Age Action has an excellent record at providing a quality package to sponsors of our programmes. Our dedicated staff members will work with you to ensure that your business receives all of the public recognition and benefits that it deserves for any contribution to our work. 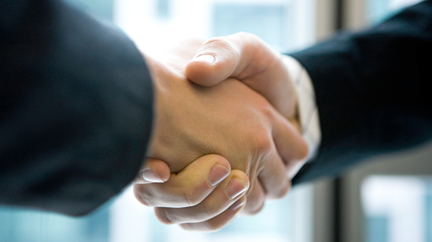 Our vision is to have a mutually beneficial partnership between a sponsor and Age Action. Ultimately the biggest beneficiaries will be the older people that are assisted by our services and programmes. If you would like more information on working with Age Action as a Corporate Partner please contact Daragh Matthews at fundraising@ageaction.ie or via the postal address or phone details below. Bank of Ireland has been a strong supporter of Age Action for many years, supporting our Getting Started Programme and sponsoring Positive Ageing Week. This year they have also chosen us as one of their Flagship Charities for 2017/18. 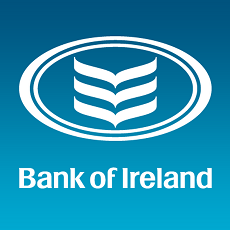 They remain our sponsor for Bank of Ireland Positive Ageing Week in 2018 and hundreds of their staff have already been actively involved in making a positive impact on the lives of our clients through initiatives like the Bank of Ireland Backyard Blitz. This support for Age Action demonstrates Bank of Ireland’s strong commitment to supporting older people to remain active in their communities and to stay connected and is a huge opportunity for Age Action to raise funds and awareness for our work, for which we are very grateful! innocent Ireland have supported our Care & Repair Service through the innocent Big Knit since 2009. This fun campaign asks the public to knit tiny woollen hats and make a big difference to the lives of older people in Ireland every winter. In 2017 the target of 100,000 hats was achieved, which raised a fantastic €30,000 towards this vital service. Last year they also made another donation at Christmas through their Secret Santa campaign. These innovative fundraising activities have raised over €150,000 in funds for our Care & Repair Service over the last eight years and we are most grateful to innocent for their their ongoing support. open eir have come on board as Corporate Sponsor for our Annual Silver Surfer Awards in 2017 and 2018. The 2017 open eir Silver Surfers took place on 28 March and were a resounding success, enjoyed by nominees, guests and staff. This sponsorship partnership has already led to lots of open eir staff volunteering for our Getting Started Programme. We are extremely grateful for their assistance in highlighting the positive impact that our Getting Started Programme can make to the lives of older people all over Ireland and celebrating the achievements of our older learners.